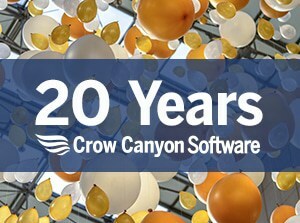 Crow Canyon Software will showcase its powerful business applications that drive efficiency and productivity gains at organizations around the world at the upcoming Austin SPTechCon, to be held in April 2 to 5. Crow Canyon, a Silver Sponsor of this event, will be at Booth #502 in the Exhibit Hall on April 3rd and 4th. SPTechCon brings together leading SharePoint professionals and experts, major Microsoft partners, consultants and practitioners. The attendees will have the opportunity to participate in over 80 sessions and panel discussions. The aim is to help participants improve their skills and broaden their knowledge of Microsoft’s collaboration and productivity software. To learn more about the conference, please visit http://www.sptechcon.com. Attendees visiting Crow Canyon at Booth #502 will have the opportunity to meet Crow Canyon’s team of professionals and check out the company’s valuable offerings of business applications for SharePoint and Office 365. Crow Canyon provides powerful and flexible business applications for SharePoint and Office 365, including Help Desk, Customer Service, Employee Services, Asset Management, HR, Onboarding, Facilities, Marketing, Purchasing, and others. The company’s applications deliver critical functionality to organizations all over the world, including major financial institutions, government agencies, military units, colleges, corporations of all sizes, healthcare companies, and more. To learn more about Crow Canyon, please visit www.crowcanyon.com .